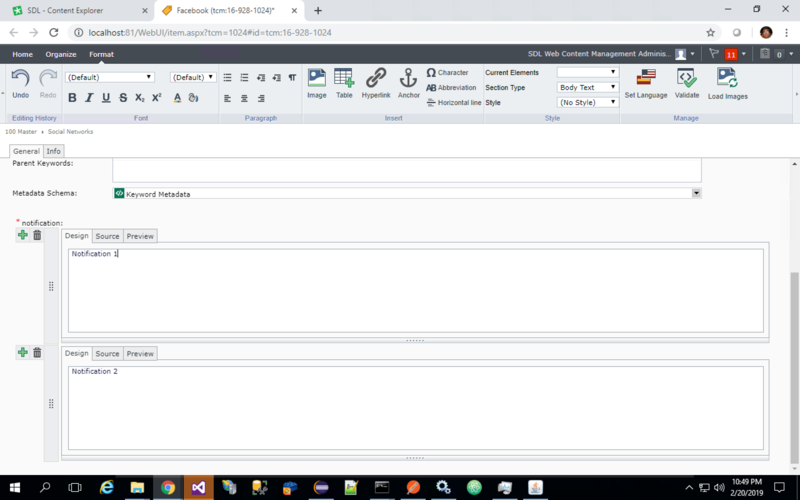 I know how to fetch Keyword metadata using Tridion Content Delivery and how to loop through Metadata fields, but i am not able to loop through if they have multivalued meta fields. 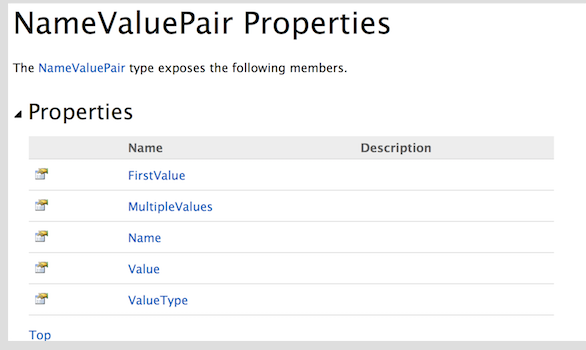 Since it is a multi-valued RTF, you need to be using MultipleValues property in NameValuePair as opposed to Value. I was able to get all values in a multi-valued RTF in Java using the next code snippet. The Java equivalent is getMultipleValues(). Say, you have a multi-valued RTF metadata containing two values as shown in the next image. The output of the code snippet just concatenates all the metadata field values and returns it. The output of running the above snippet is shown in the last image. 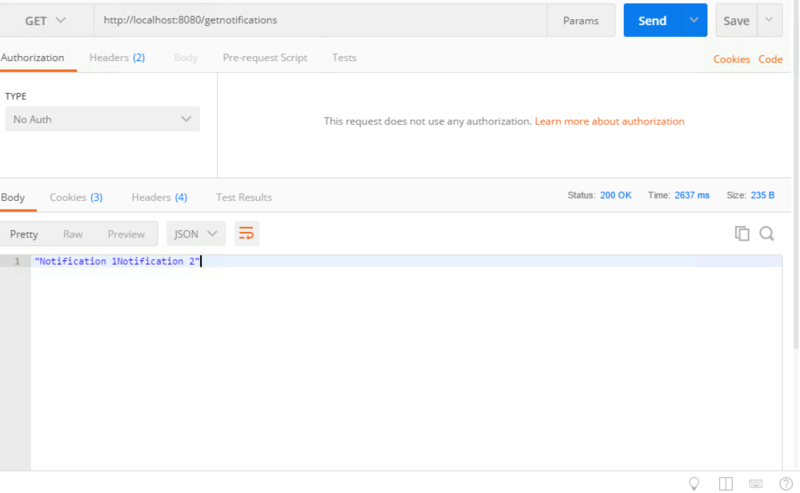 You should be able to use something similar in your .NET app. Not the answer you're looking for? Browse other questions tagged content-delivery api or ask your own question. Keyword: How can I access a keyword's metadata field value?